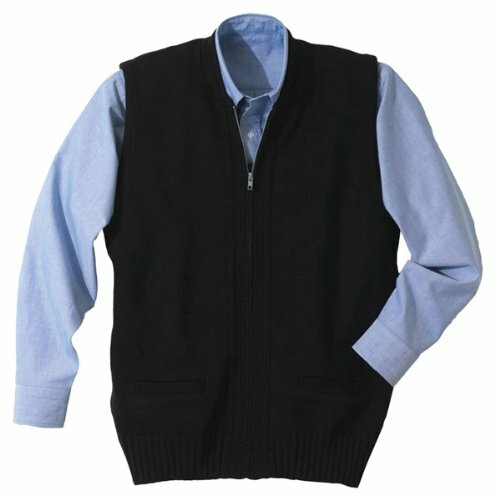 Cardigan zip vest with two pockets is built for your toughest jobs. Tuff-Pil Plus® high-tech acrylic fiber with lo-pil performance, the vest is colorfast and durable. Perfect for transit, delivery or security image apparel programs. Embroiders well. 100% Heavyweight Acrylic, Crew neck full zip vest with two pockets, Tuff-Pil® Plus high performance acrylic, Lo-pil performance and colorfast, Machine washable, Size: XS-6XL. Crew neck full zip vest with two pockets.